INTERIORS Its whats on the inside that counts... from dashboards to door handles you will find it here. In fact I don’t know why they didn’t fit alloy panels as part of the package. And I’ll never get the keep-it-all-under-the-same-bonnet-line, small throttle body and lack of cold air intake. In the pre-ASR and ESC era it might’ve been a case of protecting customers from themselves.... And the last thing a premium brand advertising safety wants is a series of ‘killer’ super-sedans involved in messy fatal collisions. After the Australian ‘Supercar’ scare of 1972 I don’t think they wanted that kind of attention. Mark, just install the mini flagpoles to each side of the front bumper and rear window curtains! OMG I'm in love! 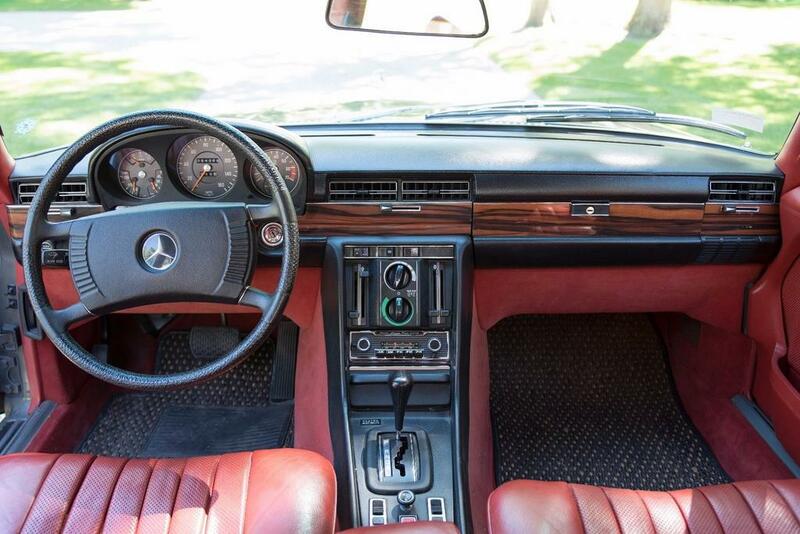 Can anyone identify the interior veneer in this early W116? Nicer than Walnut and more contemporary than Zebrano... Pity there's no timber trimmings in the center console or back seat and strange that these bigger images were pretty quick to upload. Are any W116s still running here in Australia with this sublime combination? Dare I say it, I could seriously consider retrofitting Maccaser Ebony to my vehicle! These sort of colour combinations don't seem as common here in Australia. MB Australia probably set the standard combinations they wanted to order and few put in special orders. Macassar Ebony is an extraordinarily difficult timber to use. Up to 2 years dying and drying time and the result is a timber that is brittle and prone to splitting. It's also known to provoke allergic responses. Despite that, it is a stunning timber. My guess would be that it proved too expensive to process, was in very short supply and thus was replaced by Zebrano that is much easier and more reliable to machine and use as a laminate. 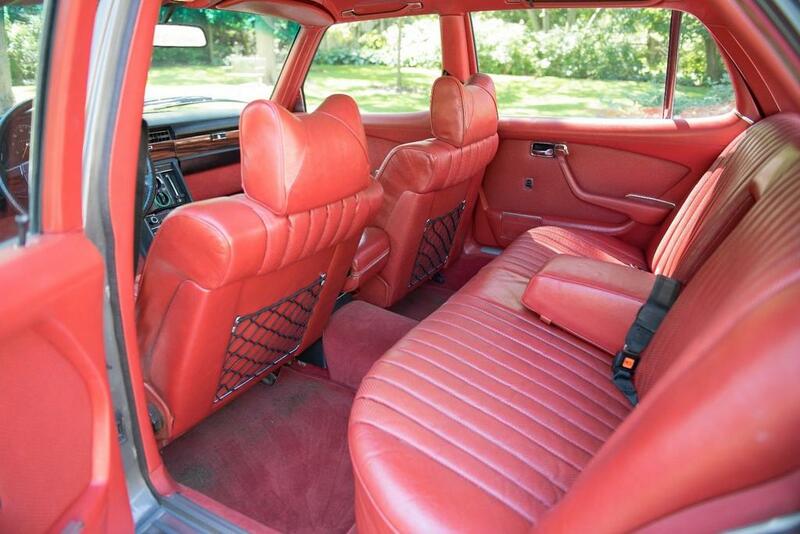 Pity - it looks fantastic with the red upholstery. BTW; I loathe grey interiors in cars and black is just so boring …. red truly rocks! Real men drive a 6 speed manual. Macassar Ebony is the wood trim supplied in the limited edition Rolls-Royce "Private Jet Ghost". Instead of gloss it is an oiled finish and does look smart alongside the Fleet Blue and Arctic White leather interior. Ten made for world-wide delivery and only one in the Asia-Pacific region. I had a demonstration of it on Sunday morning and it's quite a likeable vehicle.